IAM Local 1498 adopted 27 fire hydrants throughout the city of Oskaloosa, Iowa, as part of the IAM Midwest Territory’s “IAM H.E.L.P.S. in the Community” program. As part of the adoption, the Local is responsible for clearing the fire hydrants of snow during the winter months. Pictured left to right, IAM Local 1498 members Jeff Elliot, Dean Hubbard, Ken Farmer, Storm Cristobal, and Evan Farmer, Ken Farmer’s son. Members of IAM Local 1498 in Oskaloosa, Iowa are making it easier for their local fire department to keep their community and neighbors safe in a fire emergency. 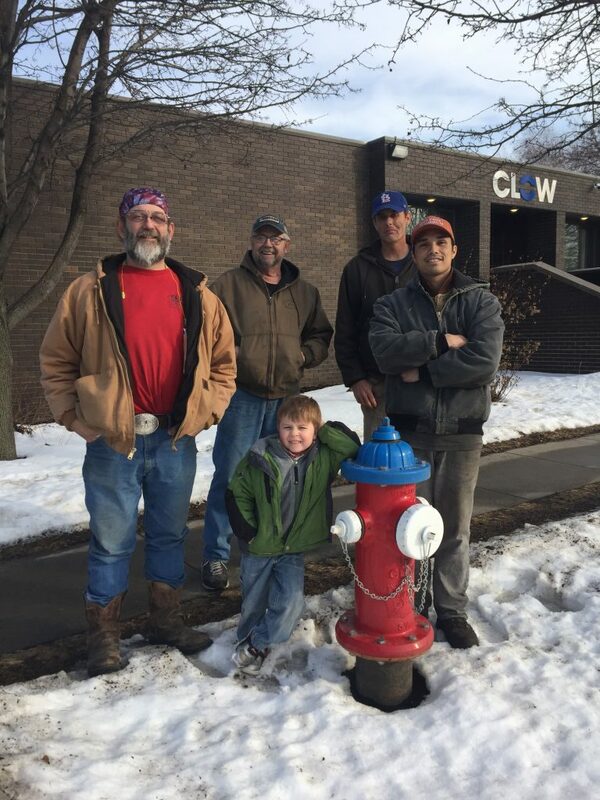 The Local, which makes fire hydrants for Clow Valve Company, adopted 27 fire hydrants throughout the city, as part of the IAM Midwest Territory’s “IAM H.E.L.P.S. in the Community” program. IAM H.E.L.P.S. stands for Honoring, Engaging, Lifting, Providing and Servicing. The initiative supports the Territory’s continued efforts to provide essential support to the communities in which we live. As part of the adoption, the Local is responsible for clearing the fire hydrants of snow during the winter months. To date, Local 1498 volunteers have gone out to clear fire hydrants three times, most recently this past February, when two storms pummeled the city with over two feet of snow in one week. Dave Christenson of the Oskaloosa Fire Department told the local paper, the Oskaloosa News, that many of the homeowners are elderly and are unable to help keep the hydrants clear of snow. “They [union] stepped up to the plate,” said Christenson.